You don't need a reason to make someone happy. 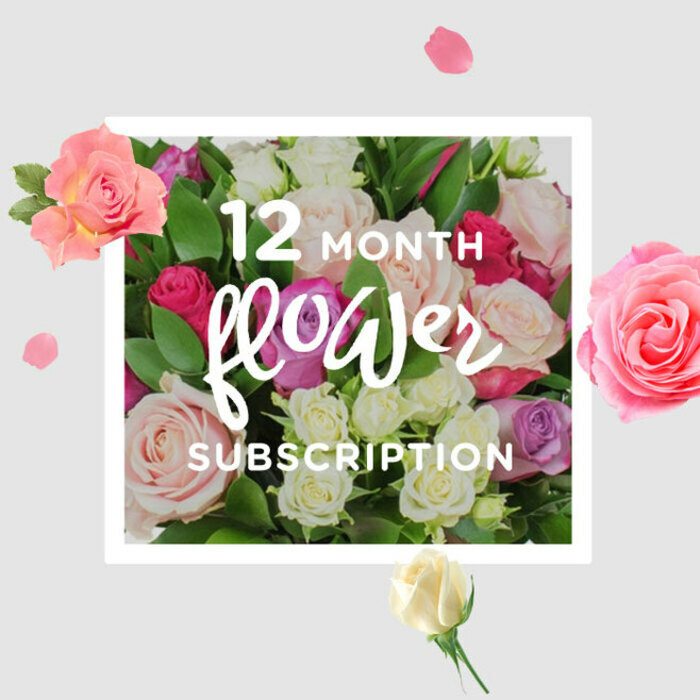 Our monthly flower subscription is guaranteed to deliver pure joy to the recipient and make any day truly special. We will prepare original and impressive bouquets from the freshest seasonal blooms and deliver them to the recipient along with a free card and personal message included. Choose the first date and we will send the flowers on the 1st Monday of each month. No matter if the flowers are being delivered to a home address or an office, your gift is certain to brighten up the recipient's mood and make the start of the month more exciting and delightful! Free Standard Delivery is included in the price of the monthly flower subscription. The flowers will be delivered between 8AM and 4PM by a trustworthy courier service. How will the flowers arrive? The flowers are arranged by hand, finished with a beautiful gift wrap and sent out with a trustworthy courier service. The bouquets will be delivered in a Handy Flowers box in which the recipient will find a card with your personal message, care instructions and flower food. I received beautifully arranged flowers from my boyfriend for a whole year. Makes you feel really special and worthy. Ordering was very easy. I just called and asked about the subscription options. They kindly explained everything I needed to know. Very friendly service! Last week me and my wife celebrated 25 years of wonderful marriage. I wanted to make a special surprise for her and trusted Handy Flowers to prepare a personalized arrangement that she loved. This morning I called to arrange the delivery of a bouquet every single month for the next 1 year and I am pretty sure that all of the flowers would be fantastic! Can't wait to see them! Big thank you for the amazing flowers. I can't wait to receive the next one after a few weeks. You certainly proved to be truly professional. I appreciate your kind attitude and giving me a call to confirm the details for the delivery. Amazing!